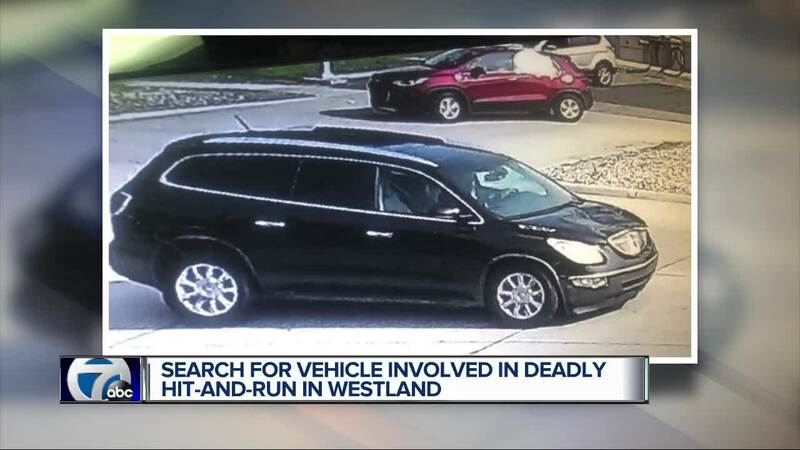 Westland police and the Wayne County Sheriff's Office have released photos of the vehicle they believe hit and killed an off-duty sergeant who was jogging on Hines Dr. on Tuesday morning. According to police, they are looking for a black Buick Enclave with severe front-end damage, that includes damage to the hood and left-front side of the crossover vehicle. The sergeant, identified as Lee Smith, was off-duty and running near Inkster Rd. when he was struck by a vehicle that then drove off. Police are looking for the driver of the vehicle. It's described as a black Buick Enclave with chrome trim and door handles. It's suspected to have heavy front-end damage to the hood. We're told Smith is a 26-year veteran of the force and had just put in his application for retirement last Friday. He was expected to retire on Oct. 1. Wayne County Sheriff Benny Napoleon spoke to the media on Wednesday and said the reward for information has increased to $15,000.